I’ve only shopped at Primark twice and I never really understood why people love this store so much. 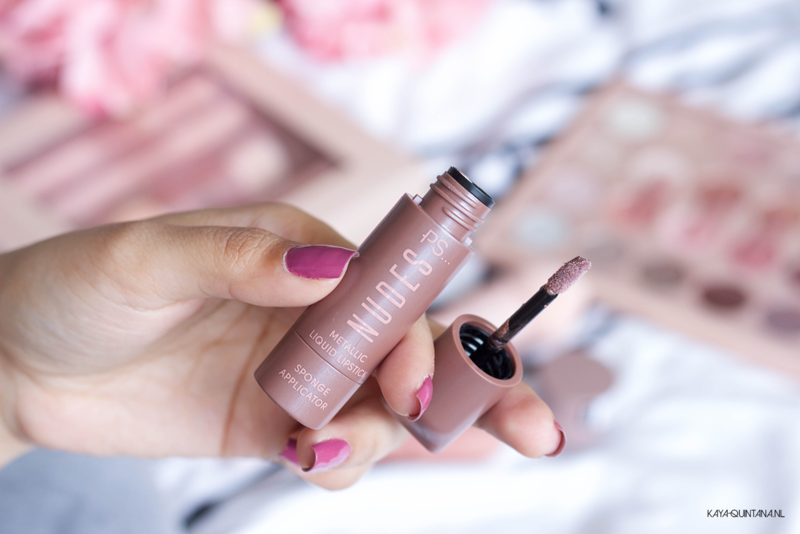 I did receive the Primark beauty Nudes collection* and I must admit, I’m very impressed with one product! 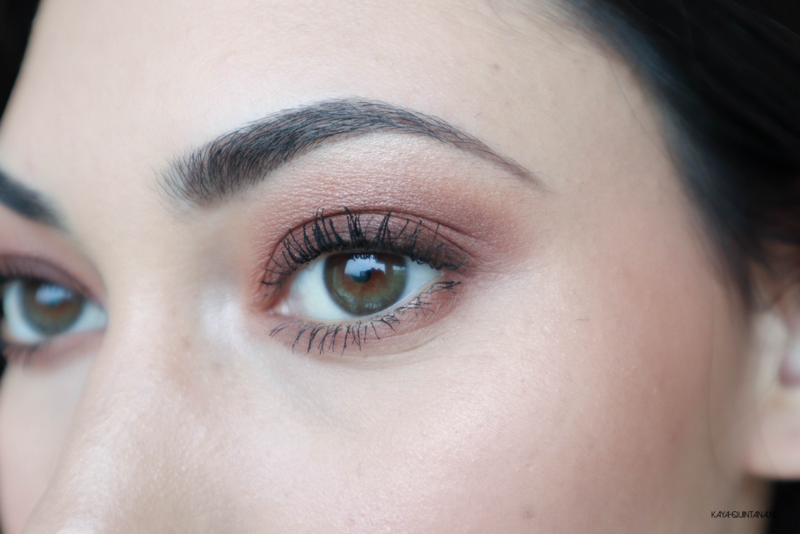 The Primark beauty Nudes collection came out around February and I finally tested all the products. Most products are under €10 and the collection seems to be a good deal. 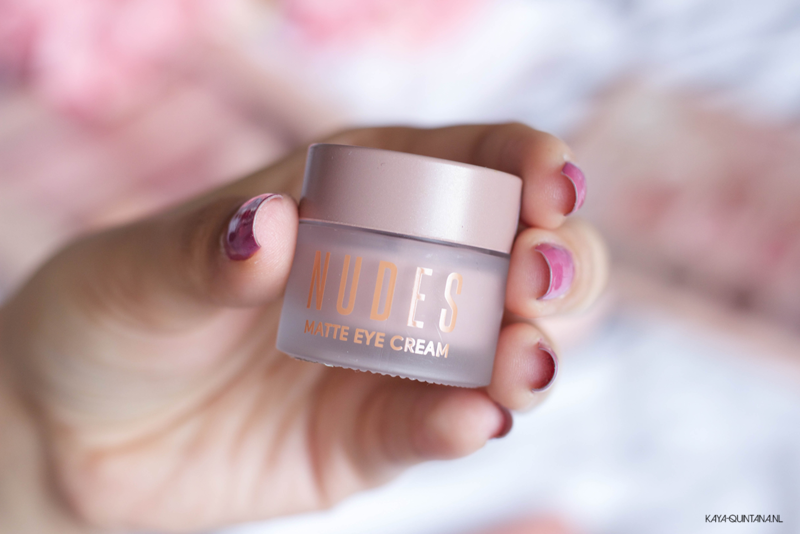 I review a lot of products for my blog and I have to admit I have high standards. Will this budget beauty collection make the cut? I made a lot of pictures and swatches, so let’s see! First up is the Primark Nudes contour set with one cream contour duo, one cream highlighter duo and one brow highlighter. The cream sticks seemed very easy to work with. 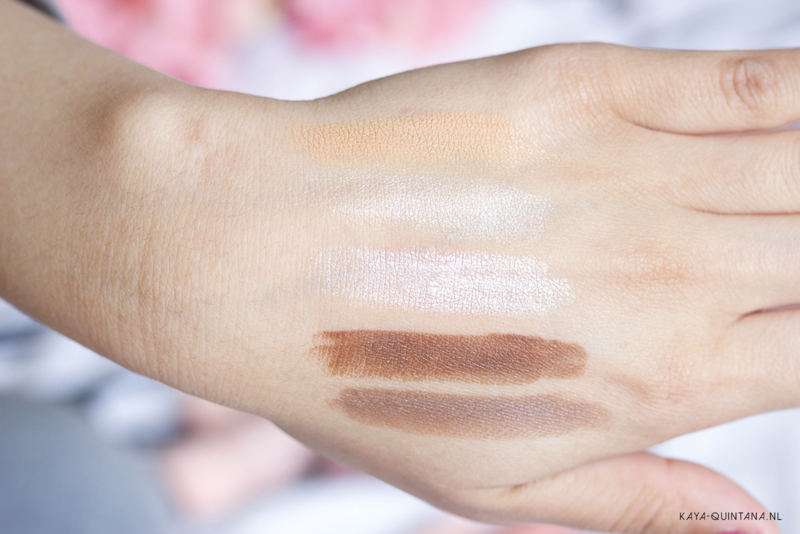 The contour stick is pretty easy to swatch and it’s very, very pigmented. There is a dark brown and a taupe/brown shade to choose from. There are two shimmery highlighters and one frosty brow highlighter shade. You also receive a double ended brush with this set. As you can probably tell, the Primark beauty Nudes collection is inspired by the KKW beauty line. PIN IT! From top to bottom: Highlighter one, two and the eyebrow highlighter. Contour shades one and two. I personally dislike brands who pretty much copy everything. That’s why I’m not that impressed by this set, I miss some originality. Back to the brush, which is obviously a copy from the double ended brushes by Kim Kardashian. I really dislike this brush, it doesn’t work well for me at all. The sponge is too hard and it’s really hard to blend the contour sticks with this side of the brush. But the kabuki end of the brush isn’t amazing either. I actually wouldn’t recommend you buy it. No, it’s better to invest in a brush that really works. The contour sticks themselves are very hard to blend. I tried it with the brush that came with the set, my own Zoeva kabuki brush and a Beauty Blender. I had to use a lot of pressure to get a nice contour line. I basically lost all the foundation I applied after blending my cheeks off. The contour shades are nice, but they just don’t work for me. The highlighter duo stick isn’t very pigmented at all. I ended up applying a lot of layers, having trouble blending them and just giving up in the end. I decided to use my Becca highlighter in Opal instead. I also received a metallic liquid lipstick in Threadbare. It’s not a lipstick in my opinion because it applies, looks and feels more like a lip gloss. It doesn’t set or dry and it isn’t very pigmented. Nope, this liquid lipstick is a big no for me. The matte lipstick in Uncovered literally fall out of the tube. It wasn’t placed in the tube well and I can’t apply it without the lipstick itself budging into the tube. Although I love the shade, I would not recommend buying this. The texture is very dry, and it disappeared into the lines around my lips quickly. I tried the eyeshadow cream in Viva las Vegas on my hand. I didn’t make a swatch photo because the color simply isn’t worth it. It’s a very taupe-ish shade which looked a little muddy on my skin. I don’t really like using cream eyeshadows anyway, so I quickly jumped to the PS nudes eye shadow collection palette. Now this is the product I really, really like! I was quite surprised though, but this eyeshadow palette works really well with the Too Faced Shadow insurance primer. 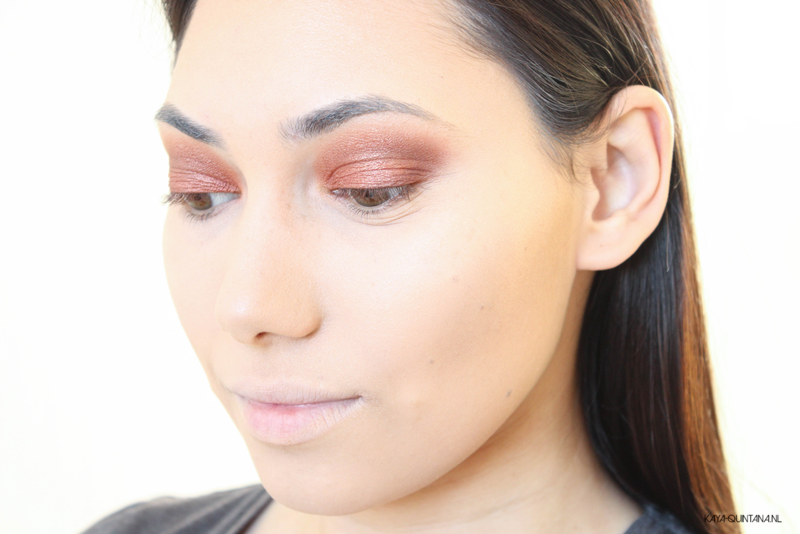 I have been wearing these eyeshadows all week, as you can see in my vlog. The color collection of this palette works really well. There are enough mattes, shimmers and metallic eyeshadows to play with. 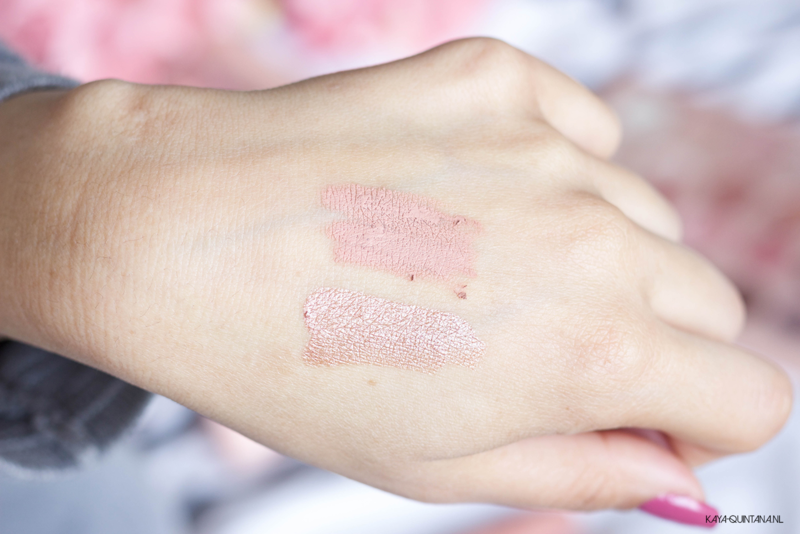 They are very pigmented with a primer underneath and you only need two or three thin layers. They are very blendable and I haven’t noticed any significant fall out yet. I’d say this is a really good deal, because you get a lot of gorgeous eyeshadows for a nice price. 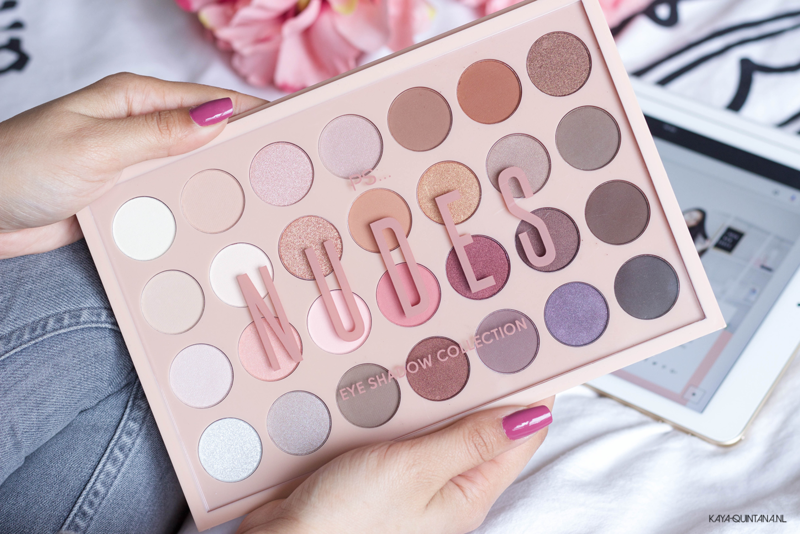 I would definitely buy and recommend this palette. It’s a steal of deal! I created three looks and they all stayed on my eyelids perfectly and vibrant. P.S. 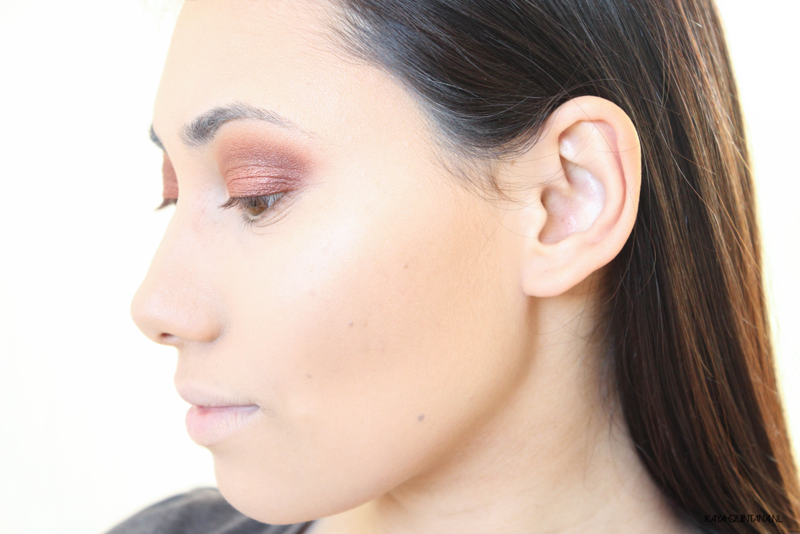 I have more make-up tips for you to read, check them out!